Greetings from The 88 Project! We are bringing you news, analysis, and actions regarding human rights and civil society in Vietnam during the week of August 20-26. Political prisoners Nguyen Van Hoa and Nguyen Viet Dung were beaten and forced to give testimony against environmental activist Le Ding Luong. Both recanted on the witness stand, but Luong was still sentenced to twenty years in prison. The news has raised serious concerns over torture of political prisoners inside Vietnam’s notorious prisons. Tran Thi Nga, imprisoned female labor rights advocate, has also faced assaults in prison, but from a cellmate who she believes was purposely placed with her in a bid from authorities to intimidate her. Her husband has written a letter to the prison describing the situation as torture. Imprisoned activist Tran Hoang Phuc’s mother fears he is also in a unsafe situation in prison; he is currently being housed in a prison camp known for its terrible health conditions. Well-known pro-democracy activist Tran Huynh Duy Thuc is on hunger strike in prison still, because authorities are resisting his decision to use Vietnamese law to appeal his remaining sentence. This week, we remembered Nguyen Huu Quoc Duy, who was imprisoned for expressing his opinions online. We also bring you news and commentary on the 40 new prisoners sentenced in July and August for their involvement in the June 10 protest, as well as on the attack on Nguyen Tin’s music performance last week, which left activist Pham Doan Trang seriously injured. In the news, read about human trafficking into China and the US’s past and future plans on security cooperation with Vietnam. In case you missed it, we’ve added new features to our Vietnam Political Prisoner Database. We will soon be adding profiles of the 40 protesters imprisoned in connection with the nationwide June 10 protest. Please take Amnesty International’s Urgent Action for Tran Thi Nga, calling for her rights to be upheld in prison and for her immediate and unconditional release. Please note that will not publish a newsletter next week due to the observance of Labor Day in the United States. Our Vietnam Free Expression Newsletter will return on September 9. Imprisoned journalist Nguyen Van Hoa (left) was beaten and forced into giving testimony used against environmental activist Le Dinh Luong (center) in court, The Committee to Protect Journalists has reported. Hoa later recanted on the witness stand, saying the statements were made under duress of the assault. Luong, however, was still sentenced to 20 years in prison. Both activists had been involved with activism after the Formosa environmental disaster. There is also a report that imprisoned founder of the Vietnam Republic Party, Nguyen Viet Dung (right), was coerced into giving false testimony as well, which he also later recanted, separately from Hoa. Luong’s lawyers were not allowed to meet with either witness. After Dung recanted, his family was denied a visit with him in prison. In response to Tran Thi Nga facing unsafe conditions in prison, her husband, Phan Van Phong, has sent an appeal to the prison in Gia Trung. Nga’s cellmate, who was assigned by the prison authorities potentially as a form of intimidation, has been physically attacking her and making death threats. Former political prisoner Bui Thi Minh Hang also suffered from violence and death threats from being detained with the cellmate in question. Phong wrote in his letter that the actions against Nga are in violation of the UN Convention Against Torture and Other Cruel, Inhuman or Degrading Treatment or Punishment (UNCAT), which Vietnam has ratified. Nga is serving a nine-year sentence for her activism with labor rights. Imprisoned blogger and entrepreneur Tran Huynh Duy Thuc started a hunger strike on August 14 to protest against the authorities pressing him to admit guilt in order to receive clemency. After twelve days, his family can neither call him nor reach the prison authorities to learn about his health. Thuc wants to use Vietnamese law itself to advocate for his release, citing new legal provisions from the 2015 Criminal Code that should exempt him from having to serve the remainder of his sentence. The authorities seem to be ignoring his appeal to use the law, and are instead opting to use of common tactic of forced admission of guilt as the basis for early release. 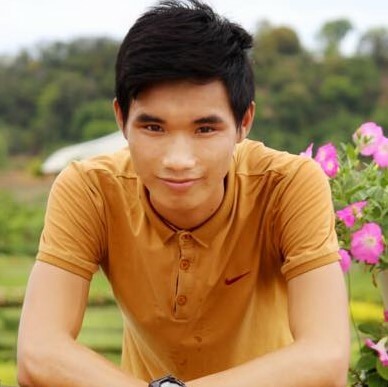 There are fears that young activist Tran Hoang Phuc is facing unsafe prison conditions at An Phuoc prison camp in Binh Duong province. He asked his mother for items for “detoxification” at a recent visit, and she reported that his behavior has been strange recently. The prison camp is notorious for its poor health conditions, which some have implicated in the deaths of prisoners after their release. Many prisoners across Vietnam have complained of tainted food and dirty conditions conducive to the spread of disease. In just two months of July and August 2018, Vietnam imprisoned 40 people for their connections to the nationwide protest on June 10, 2018 over proposed laws on special economic zones and cyber security. There have been reports of some violent protest methods used, but these reports remain largely unconfirmed by independent media, and the majority of all protests have been peaceful. The 88 Project is investigating the known arrests and the allegations of the crimes committed by protesters. In the absence of a free press environment, the protesters should be given the benefit of the doubt, and any accusation by the authorities against them should not be taken for granted. The imprisonment of the 40 brings the total number of political prisoners being held in Vietnam to 186. Our Vietnamese Political Prisoners Database currently records 146 activists in detention. While we are investigating the 40 new cases and creating profiles for them, read a summary of their trials and arrests here. August 23 marked two years since Nguyen Huu Quoc Duy was sentenced to three years in prison in Vietnam. He was arrested in November 2015 for online postings critical of the government and for calling for the release of his cousin, who was arrested in August 2015. Over one week after police raided Nguyen Tin’s private music show and assaulted activists, writer Pham Doan Trang remains in serious condition. Trang and two others, Tin and Nguyen Dai, were also beaten. The 88 Project considers this crackdown on Nguyen Tin’s show a blatant violation of the rights to artistic freedom, freedom of expression, and security of the person. In particular, the brutal assaults by the authorities amount to the use of torture, which is absolutely prohibited by international law. This intervention against a show of a purely private and cultural nature, as well as the physical attacks on its participants, are a continuation of a worrisome trend of violence committed by the authorities against peaceful activists in recent years and which, this year, has devolved into outright terrorizing of activists in broad daylight in public spaces. Human Rights Watch has also condemned the assaults and called for an investigation. Did you know that there are 186 political prisoners currently being held in Vietnam? We are in the process of updating our Vietnamese Political Prisoner Database to reflect recent arrests of protesters in July and August 2018. We’ve also updated the database with new search fields including “Year of Expected Release,” “Year of Trial,” and “Known Affiliations.” Check out the new features, and stay tuned for more changes in the coming months.